A recently launched startup peddling wildly expensive, artisan plungers caught our attention because the whole thing is giant joke, and a really good one at that. The unnamed comedian behind this faux company Re Made goes to extremes to mirror every detail of a real company called Best Made, but replaces their main product line of “American Felling Axes” with “American Master Plunger.” Perhaps the parody is to suggest that Best Made is going a bit too far with their heritage marketing and upscale pricing – you be the judge. 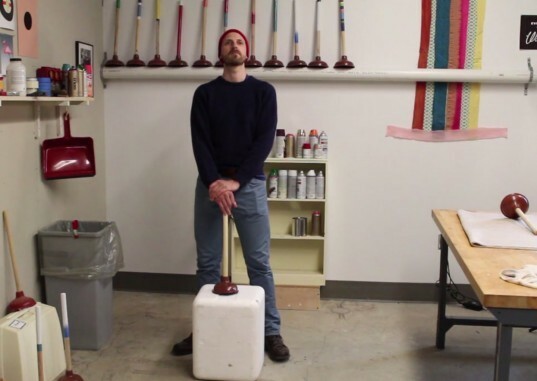 The Re Made website showcases rubber and wood plungers that one can purchase from a local hardware store for around $10 with an elaborate story of how the product is handmade, custom painted, and can be become an heirloom. The intent is to jab the side of the Best Made company and their line of axes, created by graphic designer Peter Buchanan-Smith. The collection of axes have taken off; showing up art galleries around the world, for limited sale online through the invite only Gilt Groupe , and is getting accolades from MOMA, Paper Magazine, and the NY Times. Re Made has copied the likeness of the Best Made website. They posted a fake copy of a NY Times article that was originally written about the Best Made axes. And in a really extreme effort, Re Made even created an interview video with the “creator” that practically matches frame for frame one presented by Best Made. The attention to detail here is uncanny. We love that Re Made is calling attention to an everyday object, and showing it in the light of a high priced artisan product. There are so many products available that lay claim to being the most pure, and artisan, that perhaps Re Made made their parody to say that the trend of authenticity is all a bit overkill. This could quite possibly be a 21st century version of what Marcel Duchamp was preaching to the art community in 1917 when he displayed a urinal as art. Mass produced objects that we interact with all the time and take for granted are their own kind of art, and can also have realness and authenticity. Re Made may be trying to tell use that we can recognize simple, sustainable objects all around us. 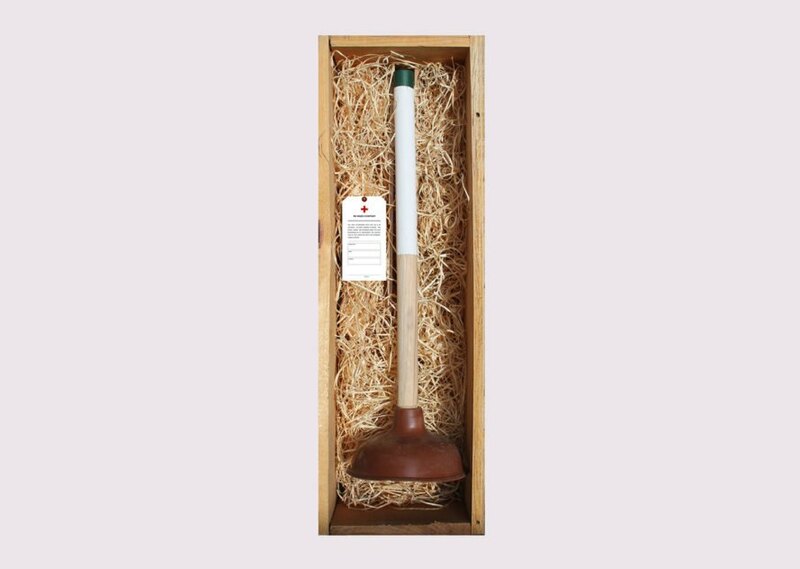 A recently launched startup peddling wildly expensive, artisan plungers caught our attention because the whole thing is giant joke, and a really good one at that. The unnamed comedian behind this faux company Re Made goes to extremes to mirror every detail of a real company called Best Made, but replaces their main product line of "American Felling Axes" with "American Master Plunger." Perhaps the parody is to suggest that Best Made is going a bit too far with their heritage marketing and upscale pricing - you be the judge.